I’ve often wondered what makes people successful. What is it that motivates them to want more, to be more? Is there a secret recipe for success? So in my quest to find these answers, I’ve read many books that talk about the keys to unlocking a successful life, and I’ve found a general theme: successful people are PRODUCTIVE people! They are the proverbial ‘go getters’ who don’t just sit around and bide their time, waiting for something to happen or for things to change. They are creative and innovative in their thinking, and they know that one of the main ingredients to being successful is working smarter, not harder. 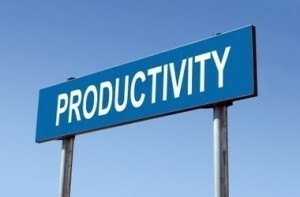 Unproductive people seem trapped in a world that is moving in slow motion. For the majority of ‘unproductives’ out there, there are common mistakes, and while they try desperately to sever the bonds of lethargy that keep them prisoner, life swiftly passes them by as they watch helplessly through the rear-view mirror. While the literary market is flooded with millions of books and manuals which serve as excellent references to leading a productive, successful life, I think that, as Muslims, our most essential references lie in the Qur’an, the Sunnah and the Hadith. How often do we thank Allah (Subhanahu wa Ta’ala) for all that He has given us? Unproductive people are so focused on the things they desire that they overlook the bounties that He has bestowed upon them. “O Mankind, remember the favour of Allah upon you. Is there any creator other than Allah who provides for you from the heaven and the earth? There is no deity except Him, so how are you deluded?” [35:3] Allah (Subhanahu wa Ta’ala) has granted us countless blessings, lest we forget! His promise to the believers is that He will increase favours upon those who are grateful to Him:“And [remember] when your Lord proclaimed, ‘If you are grateful, I will surely increase you [in favour]; but if you deny, indeed My punishment is severe.” [14:7] Try to write down five things each day, that you are truly grateful to Allah for; soon you’ll find that your list far exceeds just five things! Human beings have not come into existence by their own accord. Allah (Subhanahu wa Ta’ala), in His infinite wisdom, has created man to worship Him and to work righteousness on this Earth; “I created not the Jinns and mankind except to worship me.” [51:56]. Nothing can ever be, except by the Divine Decree of the Almighty. We cannot expect to do things on our own without saying “Insha’Allah” (if Allah wills).”And never say of anything, ‘I shall do such and such thing tomorrow. Except (with the saying): ‘If Allah wills!’ and remember your Lord when you forget.” [18:23] Therefore, it is the duty of a Muslim to pray to Allah, to seek sincerely and to remain hopeful of the mercy of Allah. You can’t do it on your own – turn to Allah, in Him is our ultimate refuge. Part of a Muslim’s fundamental beliefs is Qadr (Divine Decree), but we need to take responsibility at some point, for our actions. Allah (Subhanahu wa Ta’ala) has given man the gift of reasoning and choice, “He giveth wisdom unto whom He will, and he unto whom wisdom is given, he truly hath received abundant good. But none remember except men of understanding” [2:269]; and therefore man knows the difference between right and wrong. On the Day of Accountability (Youmul Hisaab), we will all be questioned as to our deeds and actions, as well as how we have spent our time. To become successful, you need to possess some type of skill, and this means an active pursuit in acquiring knowledge. It is narrated in al-Bukhari that the Prophet (peace and blessings upon Him) has said, “Whoever follows a path in the pursuit of knowledge, Allah will make a path to Paradise easy for him.” It is thus the responsibility of a Muslim to seek beneficial knowledge, “And say: My Lord! Increase me in knowledge” [20:114], and to pass it on to others, as this will benefit him in Akhira. Once people lose their desire to learn new things, the battle is as good as lost. Wishing doesn’t make it so! Waiting for something to change without making an effort is a futile exercise. In order to break the vicious cycle of unproductiveness, you need to do things differently. Einstein said “Doing the same thing over and over again and expecting a different result is insanity” – take risks, do things differently. Nothing will change unless YOU do! “Truly, Allah does not change the condition of a person until they change what is in themselves” [13:11]. Let it go! “And whoever does a wrong or wrongs himself, but then seeks forgiveness from Allah, he will find Allah forgiving and merciful” [4:110]. The past is over and Allah does not want you to dwell in it. Allah is ar-Rahmaan (the Forgiving), ar-Raheem (the Merciful). “Say: O My Servants who have transgressed against their own souls, despair not of the mercy of Allah. Indeed, Allah forgives all sins. Truly, He is Most Forgiving, Most Merciful” [39:53]. Mistakes happen to teach us a lesson – take the lesson and move on. A common denominator among unproductive people is their inability to move forward once they have hit a stumbling block. Pick yourself up and keep moving. Many unproductives wander aimlessly through life, without the slightest inclination of what their purpose on this earth is. Snap out of it! Ask yourself why you are here. Surely, Allah (Subhanahu wa Ta’ala) does not create without purpose; He has placed you here for a very specific reason. Your challenge is to find that purpose. Don’t waste precious moments on trivialities, rather seek out things that will earn you the pleasure of Allah (Subhanahu wa Ta’ala) and bring you closer to Him. There are no shortcuts on the road to success. Man must work hard in order to achieve success, both in Dunya and Aakhira – “There is nothing for man but what he strives for” [53:39]. Both physical and intellectual labour are recognized in Islam. So work hard – Allah has ordained it for you! ”As to those who believe and work righteousness, Allah will pay them (in full) their reward; but Allah loveth not those who do wrong.”[3:57]. Faiza Dean is a vibrant young professional – her field of specialization is adult learning and she is employed as a Learning and Development Consultant for a multi-national company based in SouthAfrica. She holds a Bachelor’s degree in Applied Psychology, as well as qualifications in Project Management and Business Administration. One of her favourite pastimes is reading about Islamic History. Faiza’s motto is PURPOSE and in an effort to fulfill her purpose, is actively involved in community upliftment projects and youth forums.